Who can resist the appeal of the path worn solely by footsteps? I was never convinced by John Bunyan’s pilgrim who believed salvation lay in sticking exclusively to the straight path – detours and byways always held greater attraction for me. My experience of life has been that there is more to be discovered by stepping from the tarmac and meandering off down the dusty track, and so I delight in the possibility of liberation offered by these paths which appear year after year, in complete disregard to those official routes laid out by the parks department. It is commonly believed that the French philosopher Gaston Bachelard invented the notion of “desire paths” (lignes de désir) to describe these pathways eroded by footfall in his book “The Poetics of Space,” in 1958, although, just like the mysterious provenance of these paths themselves, this origin is questioned by others. What is certain is that the green spaces of the East End are scored with them at this time of year. Sometimes, it is because people would rather cut a corner than walk around a right angle, at other times it is because walkers lack patience with elegantly contrived curved paths when they would prefer to walk in a straight line and occasionally it is because there is simply no other path leading where they want to go. Resisting any suggestion that these paths are by their nature subversive to authority or indicative of moral decline, I prefer to appreciate them as evidence of human accommodation, coming into existence where the given paths fail and the multitude of walkers reveal the footpath which best takes them where they need to go. Yet landscape architects and the parks department refuse to be cowed by the collective authority of those who vote with their feet and, from time to time, little fences appear in a vain attempt to redirect pedestrians back on the straight and narrow. I find a beauty in these desire paths which are expressions of collective will and serve as indicators of the memory of repeated human actions inscribed upon the landscape. They recur like an annual ritual, reiterated over and over like a popular rhyme, and asserting ownership of the space by those who walk across it every day. 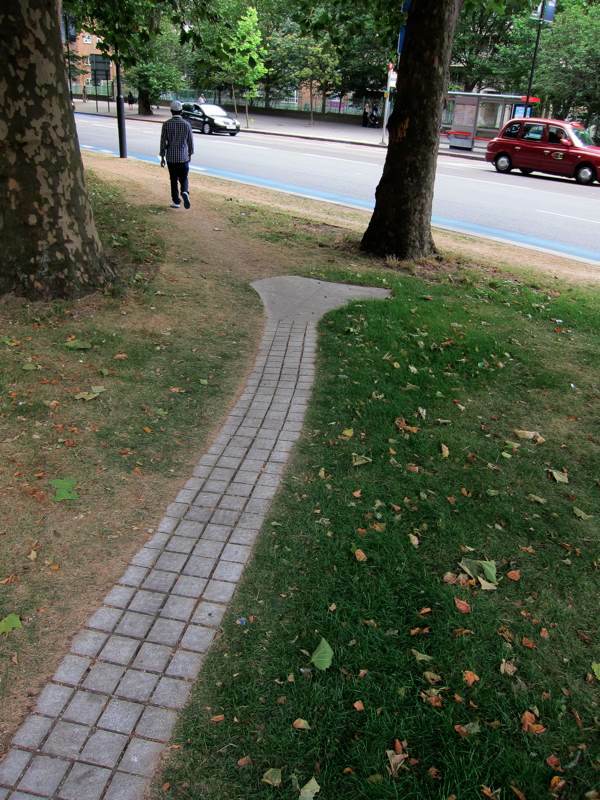 It would be an indication of the loss of independent thought if desire paths were no longer created and everyone chose to conform to the allotted pathways instead. You only have to look at a map of the East End to see that former desire paths have been incorporated into the modern road network. The curved line of Broadway Market joins up with Columbia Rd cutting a swathe through the grid of streets, along an ancient drover’s track herding the cattle from London Fields down towards Smithfield Market, and the aptly named Fieldgate St indicates the beginning of what was once a footpath over the fields down to St Dunstan’s when it was the parish church for the whole of Tower Hamlets. 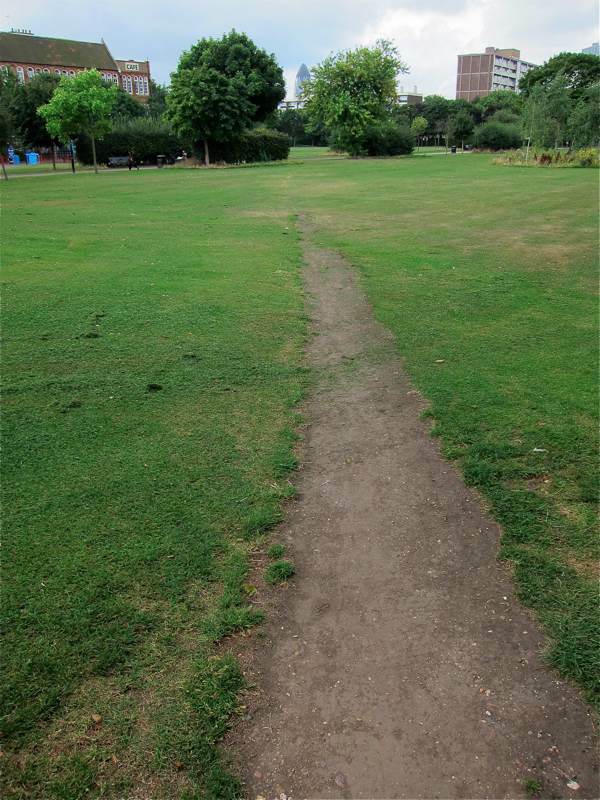 Each desire path tells a story, whether of those who cut a corner hurrying for the tube through Museum Gardens or of those who walk parallel to the tarmac for fear of being hit by cyclists in London Fields or of the strange compromise enacted in Whitechapel Waste where an attempt has been made to incorporate desire paths into the landscape design. I am told that in Denmark landscape architects and planners go out after newly-fallen snow to trace the routes of pedestrians as an indicator of where the paths should be. 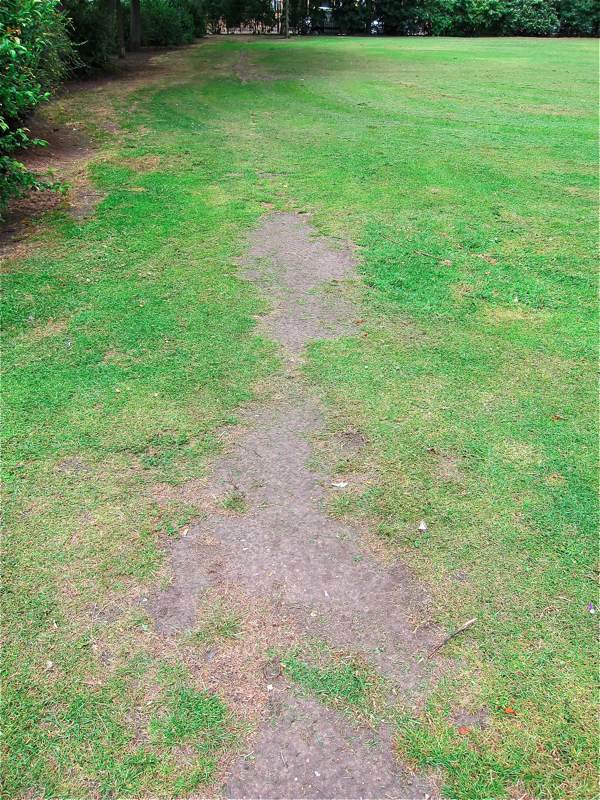 Yet I do not believe that desire paths are a problem which can be solved because desire paths are not a problem, they are a heartening reminder of the irreducible nature of the human spirit that can never be contained and will always be wandering. The parting of the ways in Museum Gardens. The allure of the path through the trees. 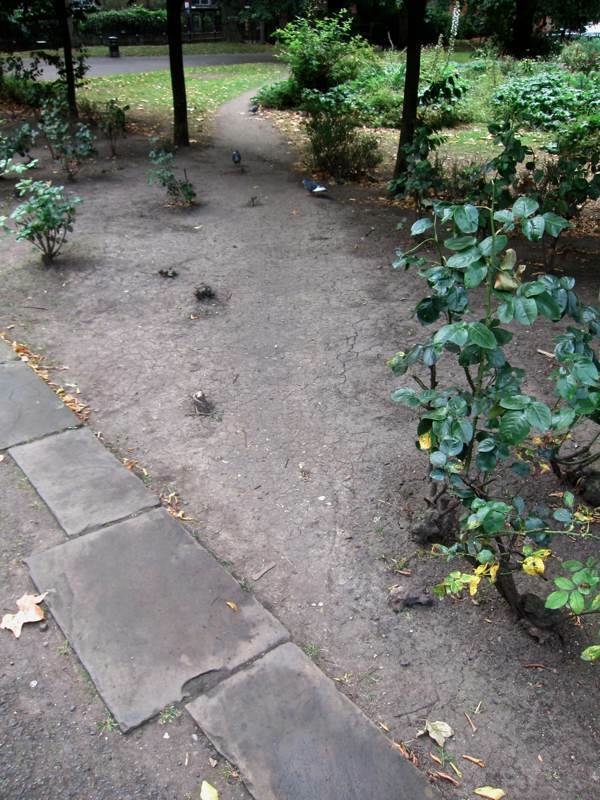 In Bethnal Green, hungry for literature, residents cut across the rose bed to get to the library. A cheeky little short cut. An inviting avenue of plane trees in Weavers’ Fields. A detour in Florida St.
A byway in Bethnal Green. Legitimised by mowing in Allen Gardens, Spitalfields. A pointless intervention in Shadwell. Over the hills and faraway in Stepney. The triumph of common sense in Stepney Green. Half-hearted appropriation by landscape architects on Whitechapel Waste. A mystery in London Fields. A dog-eared corner in Stepney. The beginning of something in Bethnal Green. Wonderful! This has to be one of my absolute favourites of the Gentle Author’s thoughts and adventures. In Homerton Hospital’s car park it leaves no trace as we risk life and limb (both often already shaky) to walk diagonally from the bus stop through moving cars, rather than along the boring, and further, right-angles we are instructed, with fierce signed authority, to stick to. A lovely post that’s going to make me see differently today. I grew up on a farm in New Zealand and one of our great pleasures as kids was to walk across the paddocks, especially up and down the hills and along the gulleys, following the well worn grooves that the sheep had made, a network of 15cm tracks perfect for small feet. Sheep too show little regard for the paths that they ‘should’ be walking. Wonderful to see these urban paths in all their variety and form. The path is being considered a great deal these days, whether in the work of writers like Robert Macfarlane or a range of photographers, and these common routes speak eloquently about the nature of time and movement, the passage of our lives as much as the pedestrian passage of our feet. There is something very affirming about these images and words of yours, bringing an attentive eye to that most common of places – the ground beneath us. I almost never post links to my work on the sites of others, but your wonderful and striking post this morning resonated deeply with me, partially because it chimed, in both words and images, with so much that has appealed to me of late. It felt like meeting an old friend out walking on a path. Many thanks for this East End tour this morning; it’s been a joy to travel alongside. 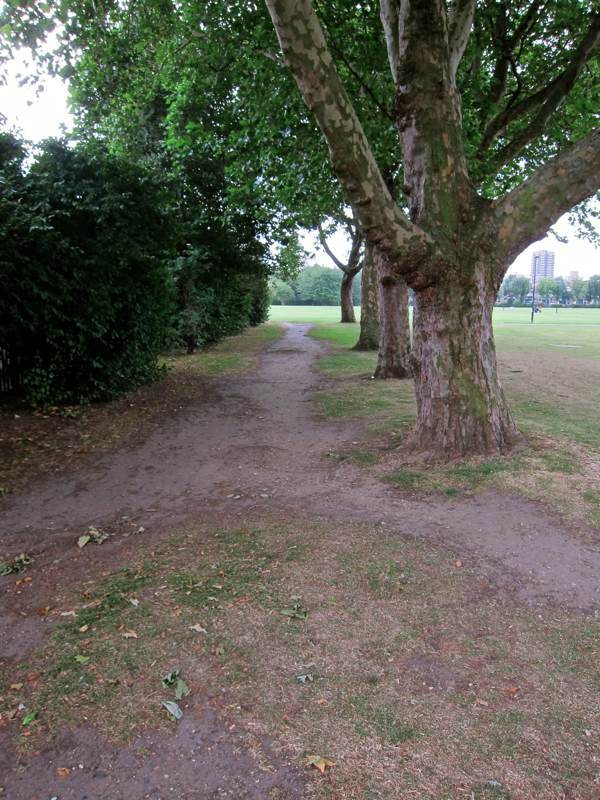 The path in London Fields is surely worn by joggers next to the footpath. 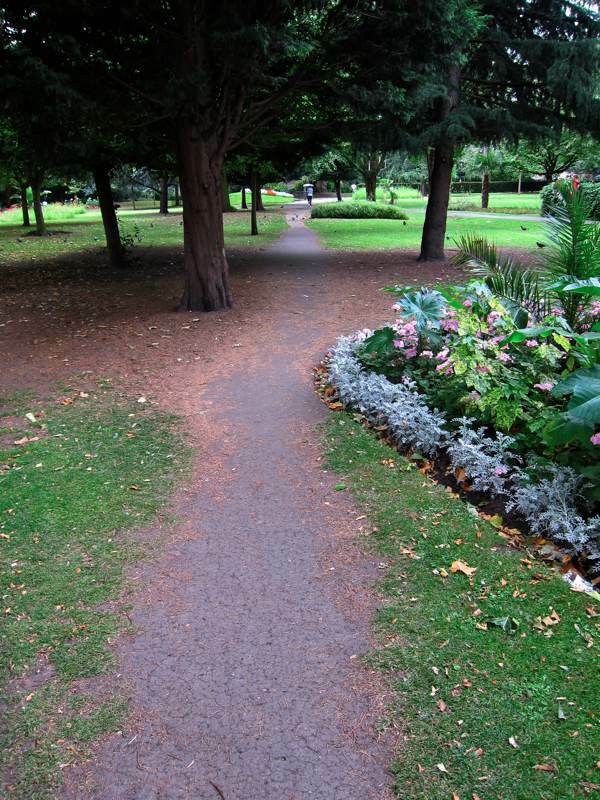 There’s a similar pathway worn all round Victoria Park. 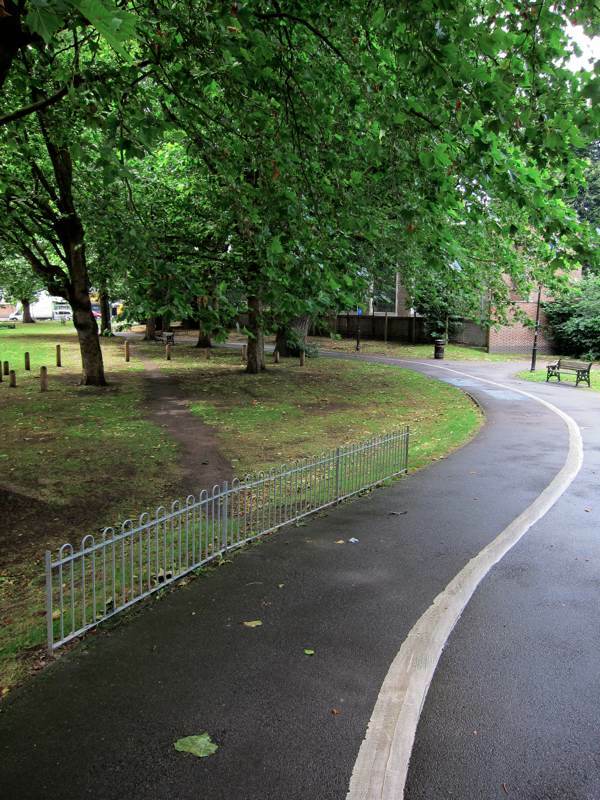 There is/was a very well marked desire path that led from the Lido to the gate next to Pub On The Park on London Fields. 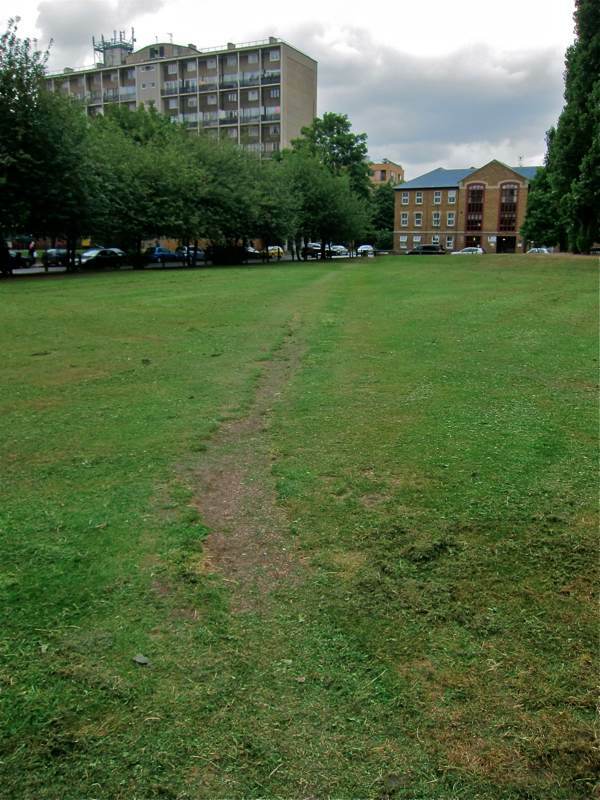 That path ran JUST next to the boundary of the cricket pitch (sometimes over it, depending on where the council painted the white line that week), and caused the traditional cry of “Get Off The Pitch” from London Fields CC every weekend for many many years. So much so that we eventually had some little signs made up that we could hammer into the ground at either end of the path during matches. 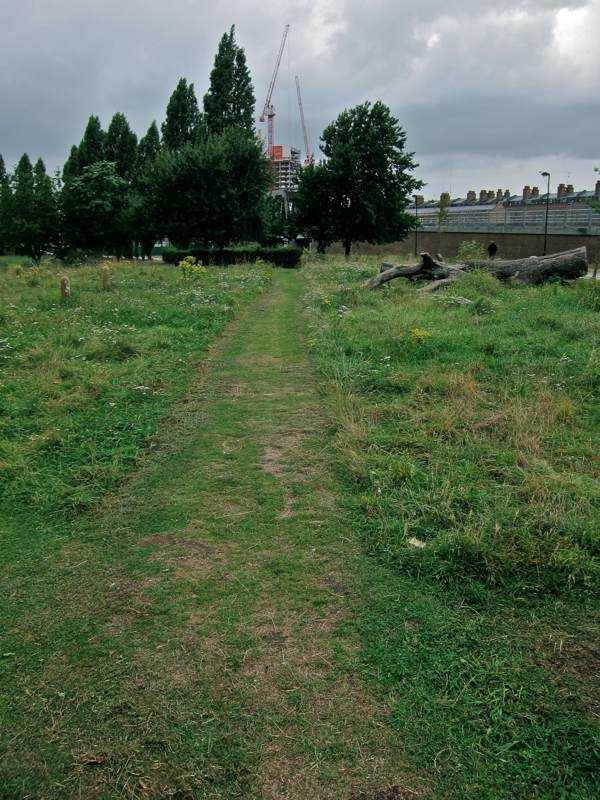 The gate onto London Fields has now been blocked off, and there was some speculation that it was BECAUSE of the desire path – the council wanting to remove its traces for vague “legal” reasons. Some pictures from around there would be wonderful! Also, there is surely a great story somewhere about how Pub On The Park was allowed to extend into the little road down its side – if you look, the streetlamps are next to the pub wall, with decking between then and the road. I think I can remember before the decking was put in, and I don’t think planning permission was ever requested in those lawless Hackney days! I love it! 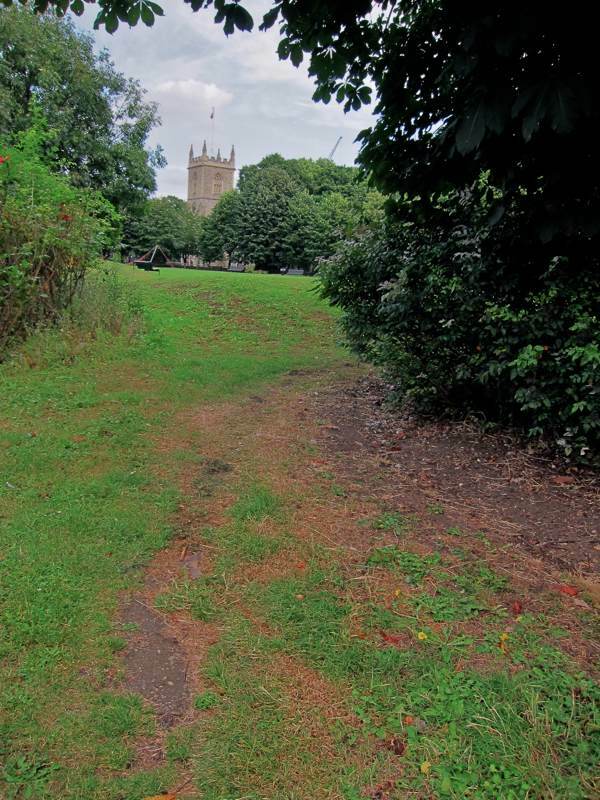 I frequently walk that path in Weaver’s Fields and have trodden the library and Museum Gardens ones many a time. A great little whimsical yarn. Thank you. Oh, thank you Gentle Author! I had not met the term “desire paths” before! I tend to see them as proof of the incompetence of town & landscape planners, or their unwillingness to accept the democratic vote. Another wonderful piece, reminding me again why you, like the desire paths, are such a precious part of the East End community. The only thing I’d question is your idea that it is immoral to take short cuts or more pleasant routes across grassland. 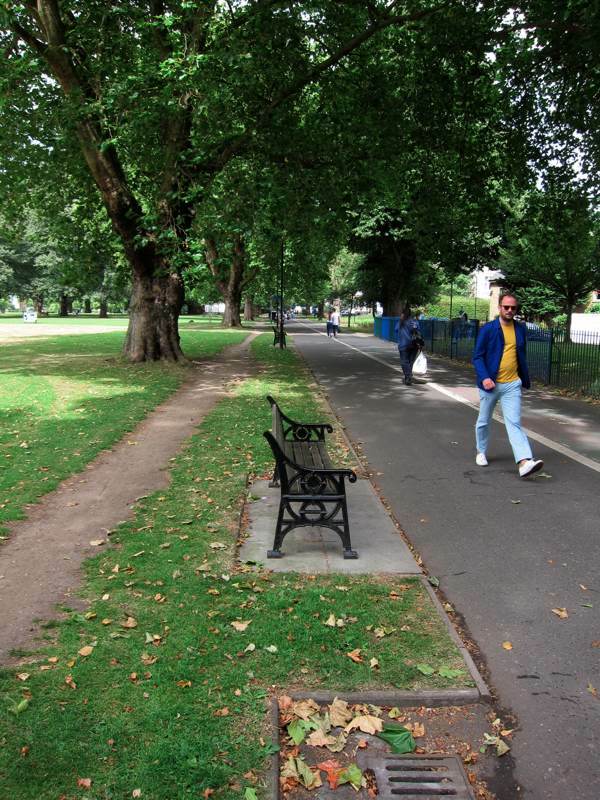 Surely the act of reclaiming the parks for the people, rather than the amusement of town planners, is a righteous act, democratising our public spaces. One of the oldest streets in the East End (pre-dating the likes of more modern busy thoroughfares like Commercial Road) is Salmon Lane. 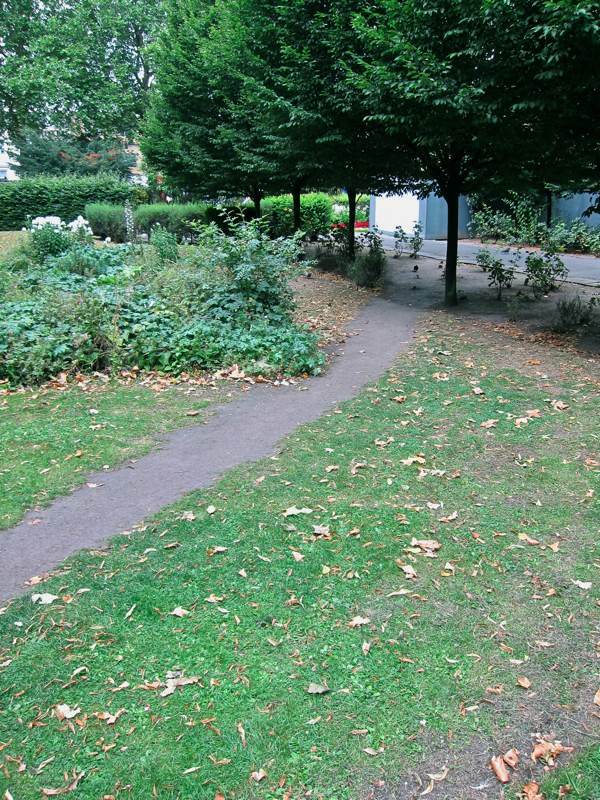 This was originally a desire path, carved by the sailors and merchants that lived on the docks at Limehouse and used this path to get to the Sunday morning services at St Dunstan’s in Stepney, still known as the sailor’s church. This thoroughfare was originally called Sermon Lane for this reason. Thank you so much. Like JerryW I had not come across the term ‘desire paths’ before though the concept is familiar to me, and I use this type of path often. Not however, in surroundings as beautiful as these. Spitalfields from 37 minutes 50 seconds onwards. Brilliant piece. I have walked many of these paths myself. And many more in the countryside that have led to absolutely nowhere…but it’s all about the journey rather than the destination. Lovely post. 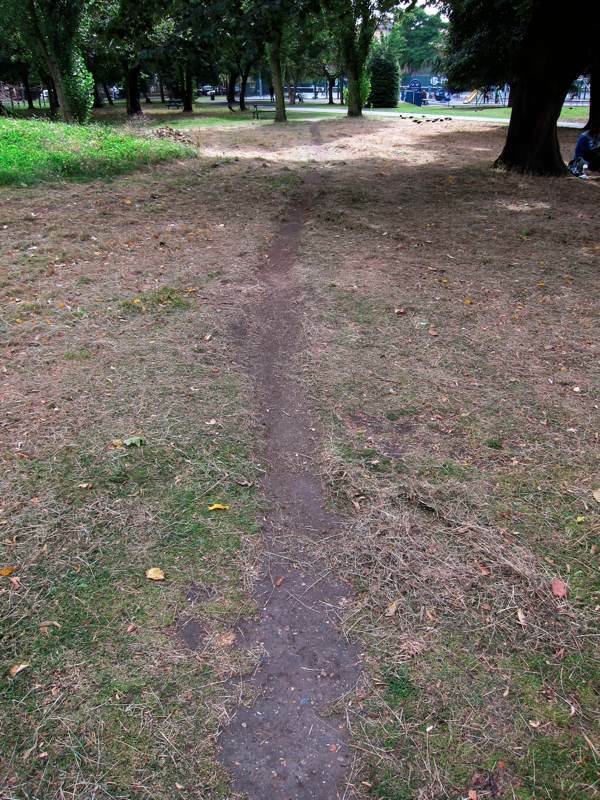 Have just been reading about Desire Paths in Robert Macfarlane’s The Old Ways. Great to see some East London ones highlighted here. I am delighted that my daily walk to work is along the Triumph of Common Sense, to Stepney City Farm, opposite Dog-Eared Corner. I hope that you, dear Gentle Author, and your readers, will visit us there on Saturday 8 September between 12 and 4pm to launch our new barn and Rural Arts Centre. There will be cake from wonderful Rinkoffs and all manner of suitable entertainments. You are most welcome. The version I heard was that, at my alma mater, Northwestern, which has severe Chicago lake-effect winters, they were going to lay steam pipes between buildings. They waited an extra winter so they could see where the desire paths were between the buildings, then laid the pipes there, and put the sidewalks over the pipes. The heat from the pipes kept the sidewalks clear thru the winters. The theme for this piece is lovely although other conclusions could be made. People will not be contained and follow the regulation path, they naturally want to take the shortest route and that is why the majority of these paths appear. Occasionally we choose to wander and take our time, but not as often. Runners prefer to use grass or dirt track as it is better for the knees and joints, leading to footworn paths alongside formal ones. When recently in Skye, we had to choose our own paths when walking the hills as there were few managed trails. At some points we followed the tracks that highland cattle had made through decades of tramping through wild hillside for grazing. There are few fences and they are essentially left to wander huge areas of cliff top, stoney beach and stream. It made me wonder why they had chosen the paths they had taken? Was it random or were they just taken the shortest route as well? If landscape architects and planners take into account desire lines, surely people would, on the basis of these new paths, then create a new set of desire lines and deviations…..
I’ve always thought that there’s an argument for designing a park without paths and seeing where they appear before formalising them but I love the idea that the desire line in one photo was appropriated by Landscape Architects and the suggestion that desire lines should be left as informal. I think people like the idea that they have made the space their own by putting their own mark on it. 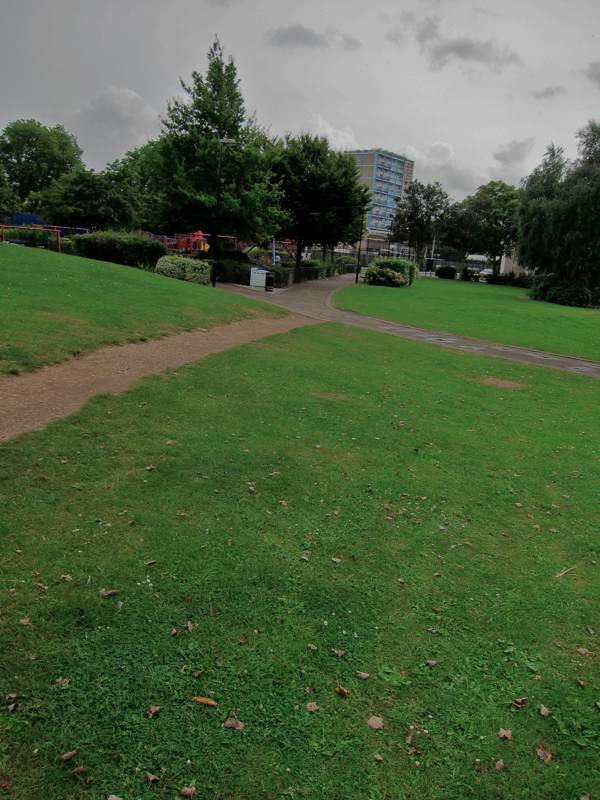 My chief gripe at the moment is Jubilee Gardens. They missed the most basic of desire lines and the beautiful lawn is getting ruined. Ah well. PS I’m posting this to my Twitter feed, it’s excellent. I am a Landscape Architect, brought to this page by the Landscape Institute newsletter, but I hail from the unruly North, so have a view from both sides. I was reared and indoctrinated by a father who saw a sign saying “road unsuitable for motor vehicles” as a reliable indication that driving along it would bring rewards – which they invariably did on our family outings. It saddens me that so few designers of path networks (most not Landscape Architects) fail to invest sufficient time and attention to mapping destinations and departure points in the neighbourhood surrounding their site to predict where the main desire routes will occur. That is not to say that designed paths should slavishly follow all desire routes but it is wise to provide sound footing and durability along the most important strategic lines. Any attempt to deviate people from a straight line between departure point and target destination needs to be reinforced with insurmountable obstacles and, if anger in the walker is to be avoided, some delightful reward provided en route to compensate. Achieve that and your job as designer is generally sound but our duty is to accommodate desire and equip the landscape to endure it (unlike the naively placed rose-bed) but not to confine and constrain the free spirit in us all as it fights to survive the Orwellian regime creeping up on us. I rather like walking along paths that wind along quite crazy routes that seem to have been designed not for their ‘directness’. A grubby and worn path through grass, rose beds etc. and often strew with crisps packets and dog turds is not really that attractive, no matter how much you try to wrap it up as some ‘free spirit’ expression. 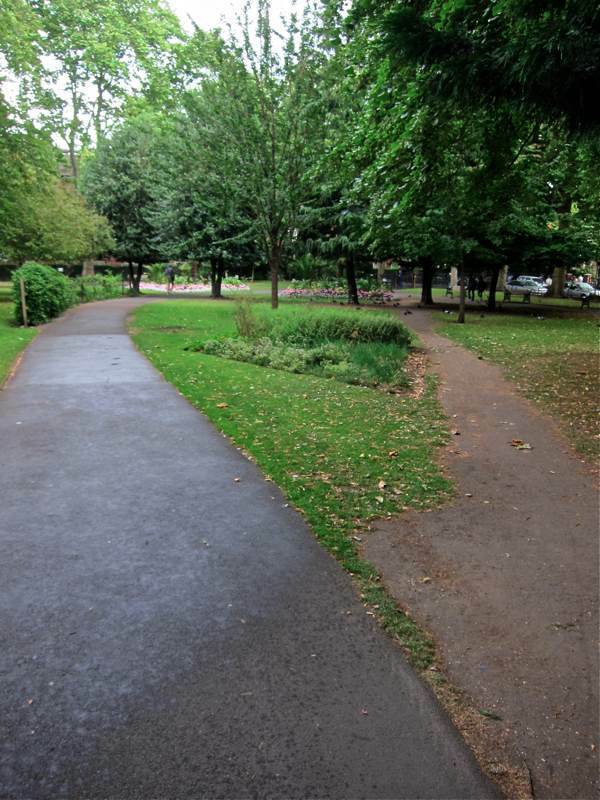 ‘Desire paths’ are used by people who ‘cut corners’ and are only interested in getting from A – B as quickly as possible. Free spirits? Obviously quite the opposite! 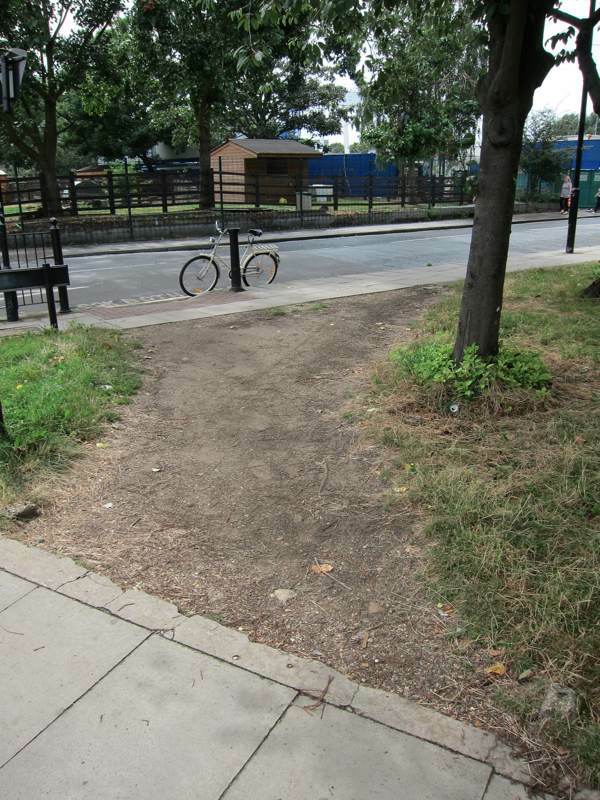 Desire paths made by meanderthals……. I loved reading this. For better or worse, I think paths communicate to us. The official path tells you where the officials want you to go, but the foot-trodden path tells you where people really go. I think I often time obey instruction from both. 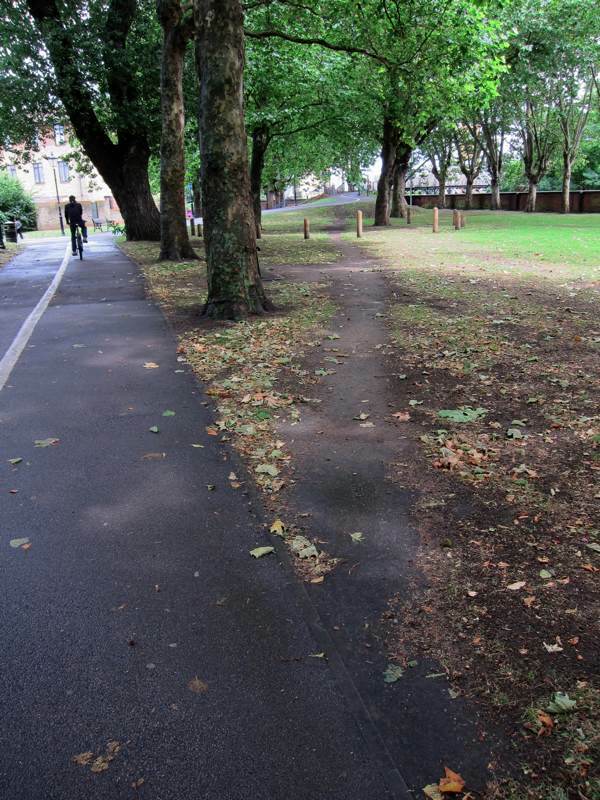 I think it is significant that the desire paths are so neat, though. It is not a mishmash of people just stepping where-ever they want, it is a clear line, an unspoken agreement to follow this new path. What a lovely article.